Use this to keep track of characters (suspects) in mystery series. This could be done in guided reading or independently. We most recently used this when we read Cam Jansen: The Basketball Mystery. 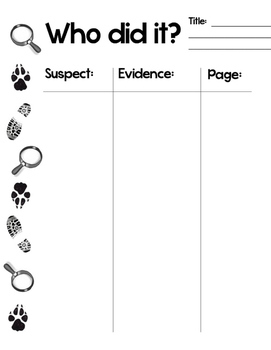 This chart forces students to find clues and connect them with a character in a book.